Using a lens with 25 mm (25000 [microns]) Field of view, you can cover the part, Now choosing a camera is needed 2024 X 2024[pixels] is a reasonable camera for the industrial tools but the resolution of the system will be 25000[microns]/2024[pixels] =12 [microns] which is far from the +/-1 [microns] accuracy we need. 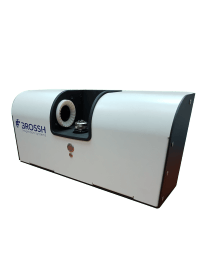 Most of our competitors will use higher magnification ( 1 micron per pixel) to get the accuracy but will not see the part in one picture. Choosing optics with 1 micron per pixel will cover only 2024[pixels] X 1[micron]=2042 microns =2.042 mm, in this magnification we will get the accuracy but will not see the entire part in one picture. How we will achieve the 1 microns accuracy, the answer is SUBPIXEL TECHNOLOGY. 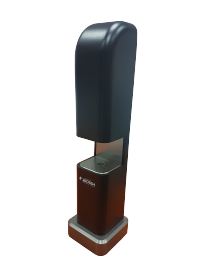 BROSSH engineers have a strong background in microelectronic measurement tools, there has always been a problem of resolution and subpixel technology was necessary in order to get the measurement accuracy. 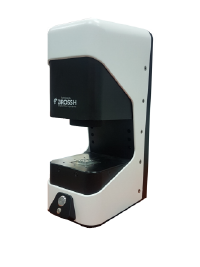 BROSSH brings the semiconductor measurement technology to their MICRO VISION 100 metrology tool. 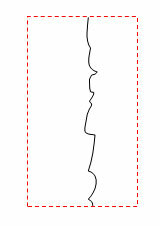 Assume a line that is 100 pixels long. This Gaussian performs the same kind of averaging too. The gain in this case is square of 5000=71. This line is an average of the data and according to the theory the resolution gain by a factor of the square of N, where N is the number of pixels in the line. 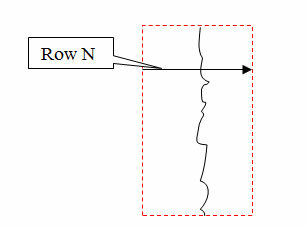 The following is an example of measuring part with 2 [centimeter] length with 11 microns pixel size for 1-micron accuracy. 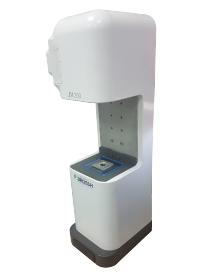 The MicroVision100 uses a telecentric lens that allows measurement of 3D features accurately. When standard optics are used to image 3-D objects, distant objects will appear smaller than those farther away. As a consequence, when an object such as a cylindrical cavity is imaged, the top and bottom circular edges appear to be concentric and the inner walls of the cylinder are imaged (common optics behave like human eyes when looking inside a cup or a glass). 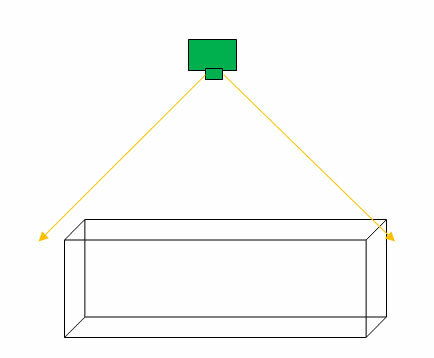 However, by using telecentric optics, the bottom edge and inner walls disappear and therefore the telecentric lens gives a 2-D view of a 3-D object, making the machine-vision system work more or less like CAD software. 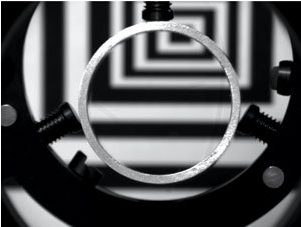 In the following picture a cylinder was taken with conventional optics, The cylinder top side showing larger diameter than the bottom. 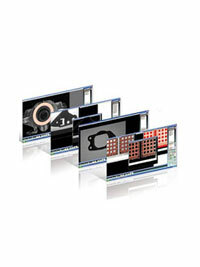 The MicroVision100 have the easiest user interface compared to the other systems. It takes several minutes to set up new inspection recipe, the operator can set up inspection recipe without knowing any computer languages. 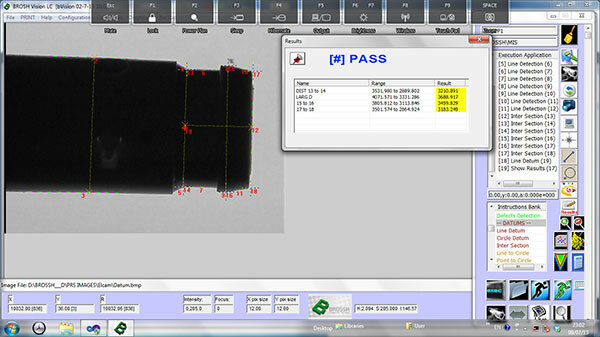 We know that every manufacturer says the same but our customers can testify how easy is to setup inspection recipes.